I am loving the bright colors that not only pop, but scream spring in this week’s giveaway sponsor’s shop! 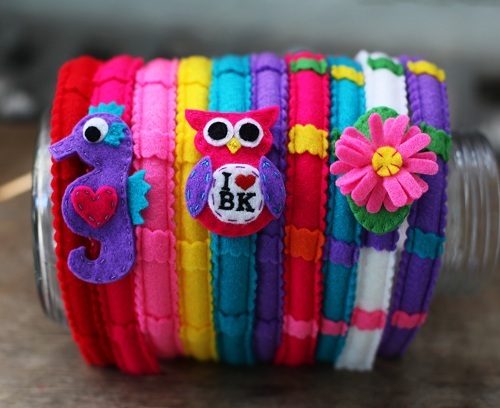 I recently came across Brooklyn Owl one afternoon when I was just browsing the pages of Etsy. A truly unique store of beautiful handmade creations fit for any little princess ~ from brightly colored felt hair clips and headbands, to rainbow colored birthday garland, and my favorite ~ the unicorn horns for any little girl that dreams of flying horses and magical places! A shop truly worth checking out, especially with spring parties just around the corner! 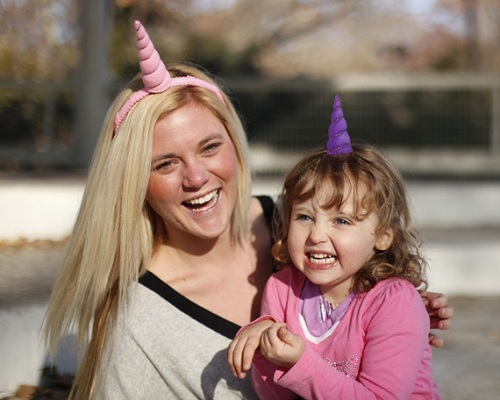 I mean, what little girl wouldn’t want her own pair of unicorn horns! Annie of Brooklyn Owl has graciously offered to one lucky winner a $30 gift certificate to her shop! I wouldn’t know what to choose from! Enter below for your chance to win and be sure to check out Brooklyn Owl and scoop up some adorable accessories for your little ones! They would be make some great Easter basket treats! THE WINNER IS ELIZABETH GONZALEZ! CONGRATS! This giveaway is not affiliated with or sponsored by Facebook. Open to US residents only. Winner will be announced on Tuesday, March 19th. LOVE The seahorse clip that is so crazy cute! My girls would love the Unicorn horns and I Love the felt banners! (plus we love that sweet little unicorn model)! Love the Unicorn Horn Rainbow Party Pack. The 6′ banners in holiday colors are so pretty! And I like the Mr. And Mrs. Cake banner, too. Oh my, love the Unicorn Hair Clip!!! I have 3 girls who would love to be Unicorns!!! I like the felt rainbow buntings! They are so cute and would great in my little one’s room!